Reebok T-Shirt 2-Pack Just $17! Down From $60! Shipped! You are here: Home / Great Deals / Reebok T-Shirt 2-Pack Just $17! Down From $60! Shipped! Deal expires on January 13! At Proozy, you can score this Reebok Men’s T-Shirt 2-Pack for just $17 down from $59.98 when you use promo code PZY17 at checkout PLUS FREE shipping! Comfort meets style with these Reebok Men’s T-Shirts. 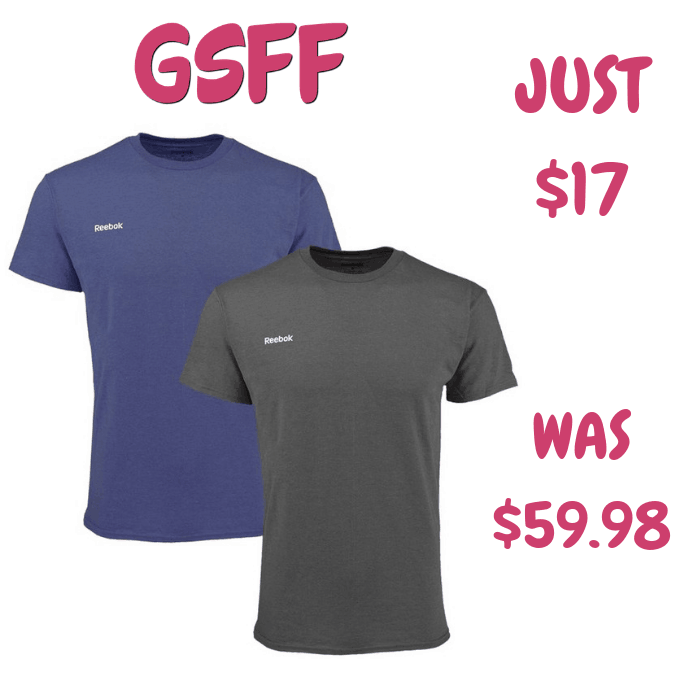 Made with super-lightweight fabric, these tees are incredibly soft, breathable, and comfortable. Crewneck cut creates a classic, movable fit.